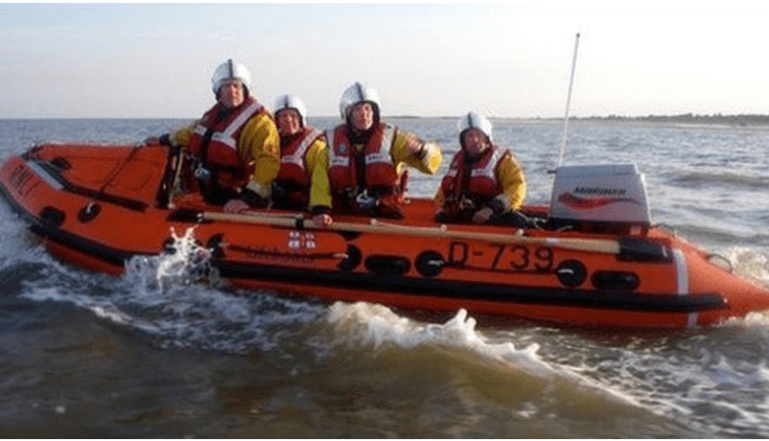 Locally based businesses in the Skegness area have pulled together to raise the funds needed to replace an inshore RNLI lifeboat that exploded recently when it answered a call to help in a search for a missing man off the East Coast. Luckily none of the crew of three was hurt and all managed to swim the 200 metres back to shore after the boat caught fire. The local branch of City Plumbing Supplies organised a raffle to raise money towards the appeal with the first prize of a brand new heating system and has asked a number of manufacturer suppliers to provide elements of the heating system. Stelrad’s Business Development Manager for the region is George Denton and he was pleased to be able to respond to the appeal that Stelrad would indeed supply the radiators for the heating system being given as the first prize. Stelrad has donated six of its sector leading Softline radiators. Visit stelrad.wpengine.com for more information on the extensive range of Stelrad radiators available via the merchant network across the UK. Alternatively, you can call for brochures and information on 0844 543 6200, or email marketing@stelrad.com . You can follow Stelrad on Twitter @Stelrad or on Facebook at www.facebook.com/StelradRadiators. The Skegness Inshore lifeboat that was lost with the crew that made it back to shore..